Noted in Fodors Top 12 Food & Wine Events for 2019, Tasting Australia is your chance to find out what’s new on the menu. Held across South Australia, the event celebrates culinary creativity and the region’s most delectable local produce. Taste wines from the Barossa, McLaren Vale and Adelaide Hills; enjoy a long lunch with world-class flavours and learn at masterclasses by some of the country’s most inspiring chefs. In April each year, the entirety of Australia celebrates one of its most significant remembrance holidays. ANZAC Day, which stands for ‘Australian and New Zealand Army Corps,’ not only sees commemorative ceremonies across the country but also lively celebrations. 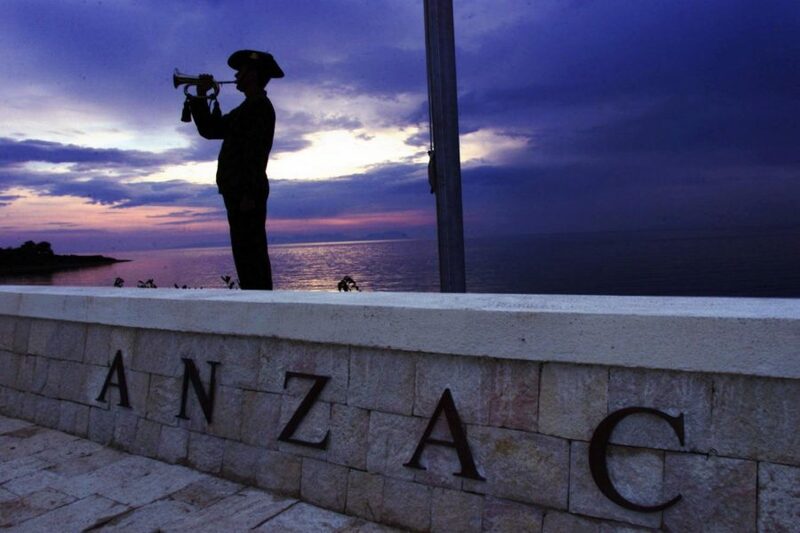 Head to a Dawn Service, where you may hear recitations and the national anthem. If you’re in Canberra, visit the Australian War Memorial – an impressive shrine and museum. Later, join the locals at a neighbourhood pub to play two-up, a simple game that asks you to guess how two coins will land after they’re tossed in the air. TRICKY TO SAY. IMPOSSIBLE TO FORGET. Parrtjima is the only authentic First Nations festival of its kind, showcasing the oldest continuous cultures on earth through the newest technology – all on a 300-million-year-old natural canvas in the Red Centre. Parrtjima celebrates the ways in which artists can evolve and experiment with different styles and materials, while staying true to the ancient philosophy of connection and Country. Set against the backdrop of the MacDonnell Ranges, Parrtjima is held on Mparntwe (Alice Springs), which always was and always will be part of the Arrernte people. Mparntwe is connected to the estates of Antulye and Irlpme, as well as a network of custodians who hold rights and responsibilities for these areas. A group of which guide and help create Parrtjima. Together they invite visitors to come and experience Parrtjima, and gain a deeper understanding of, and connection to, country and Arrernte culture. Held across two event precincts over 10 nights, the free event includes incredible artwork and light installations alongside a 10-night public program of interactive workshops, music, films and talks. Alongside Arrernte art and artists, the festival also features work from across the Central Desert region and associated other parts of the Northern Territory. It showcases music from around the world annually on the Easter long weekend on 120 hectares at Tyagarah Tea Tree Farm, just north of Byron Bay, NSW. Bluesfest presents over 200 performances with various stages over 5, 12 hour days, as well as camping for up to 6,000 people, 5 licensed bars, over 100 food and market stalls, undercover food courts, beer gardens, and children’s entertainment. Bluesfest presents the biggest names in music to Australian audiences each year including Bob Dylan, Hozier, Paul Simon, Gary Clark Jr., Angus & Julia Stone, Robert Plant, Alabama Shakes, John Mayer, Jurassic 5, James Brown, Zac Brown Band, Joss Stone, David Gray, Trombone Shorty, Angelique Kidjo, John Legend & BB King, to name but a few. From a modest crowd of 6,000 when it began in 1990, Bluesfest now attracts an audience of over 100,000. It is regarded as the foremost destination festival in Australia & renowned for being a safe, fun, family-friendly event. The producers of Fringe World Festival present an open-air cinema experience like no other, six levels above the ground in the centre of the city, complete with an exciting film program. 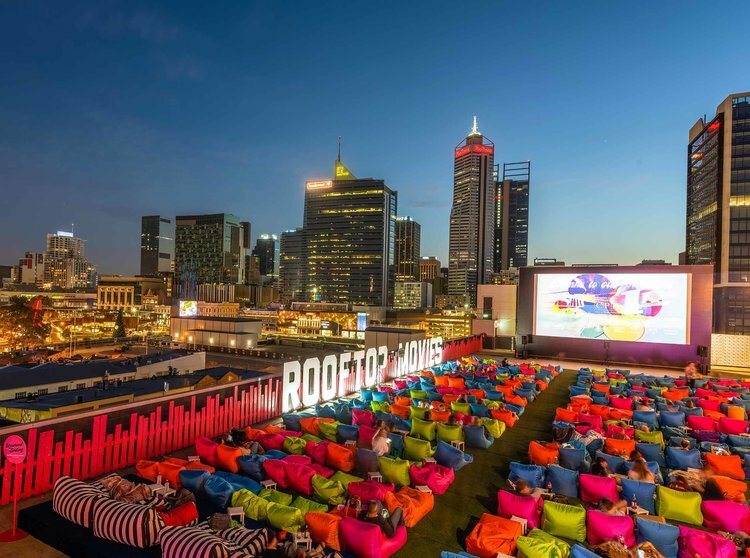 Make sure to get a shot of the panoramic views from the beanbags of the Perth city skyline and #rooftopmovies. Tickets are now on sale for Rooftop Movies! Rooftop Movies will be running until March 30, 2019.